BRISTOL - Local genealogist and writer Sheila Draper Orefice will discuss the history of Bristol’s Rockwell family and its estate on Oct. 4 at the Bristol Public Library. 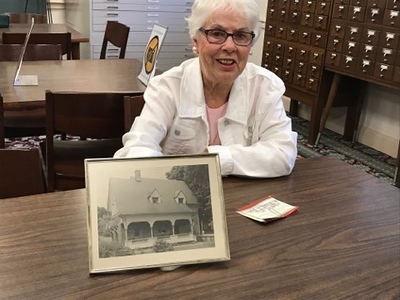 “Reminiscing with Sheila: The Rockwell Estate” starts at 6 p.m. at the library, 5 High St. 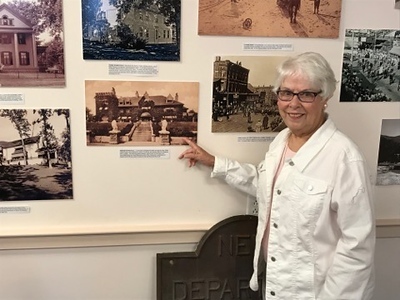 The multimedia presentation will include more than 100 slides and will focus on pictures, history and the presenter’s personal connections to the former estate. It will feature pictures of “Bristol’s castle,” Brightwood Hall, and Rockwell Park and playground in their heyday. Orefice said the program will be presented in three parts, the first of which will focus on Helen Atkins. Orefice said the second and third parts of the program will focus on Albert and Nettie Rockwell, who, Orefice said, were “Bristol’s biggest benefactors” of their time. Brightwood Hall no longer stands today, though the carriage house and caretaker’s house still remain. The family tried to sell the manor starting in 1928, but after the stock market crashed the next year, no one wanted to buy it. The mansion was torn down around 1934 and the Rockwell family paid $4,000 to have the stones taken to a church in New Britain. Rockwell Playground still stands, although it has changed a lot since Orefice played there growing up in the 1930s and 1940s. Admission to the program is free. To reserve a seat, visit bristollib.com or call 860-584-7787, Ext. 3. Posted in The Bristol Press, Arts, Bristol on Thursday, 20 September 2018 21:31. Updated: Thursday, 20 September 2018 21:33.